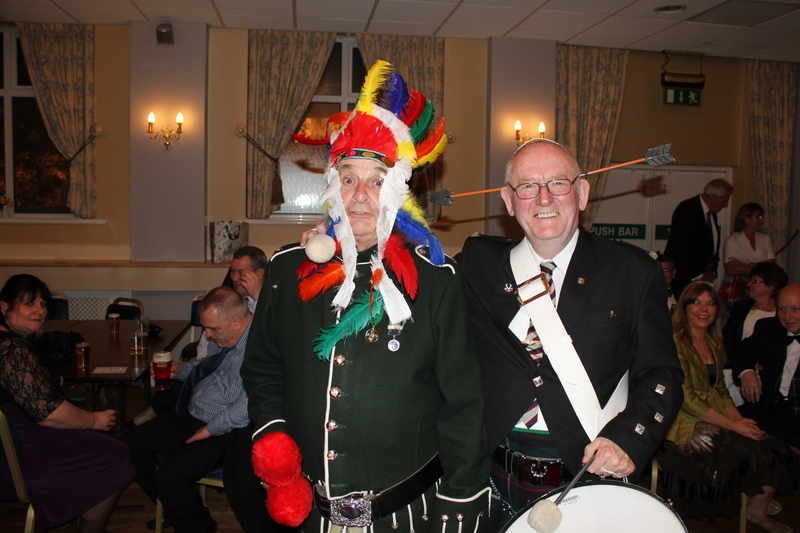 The Band attended the 45th Dinner of its association. 144 guests sat down to a 5 course meal, including a distinguished top table. Cpl. 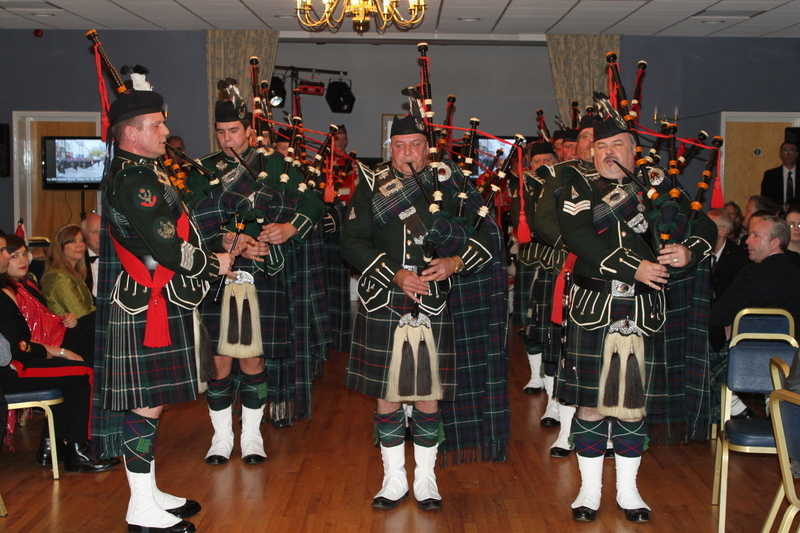 Burt McLucas and Piper Richard Galloway piped the guests into the dinning hall. 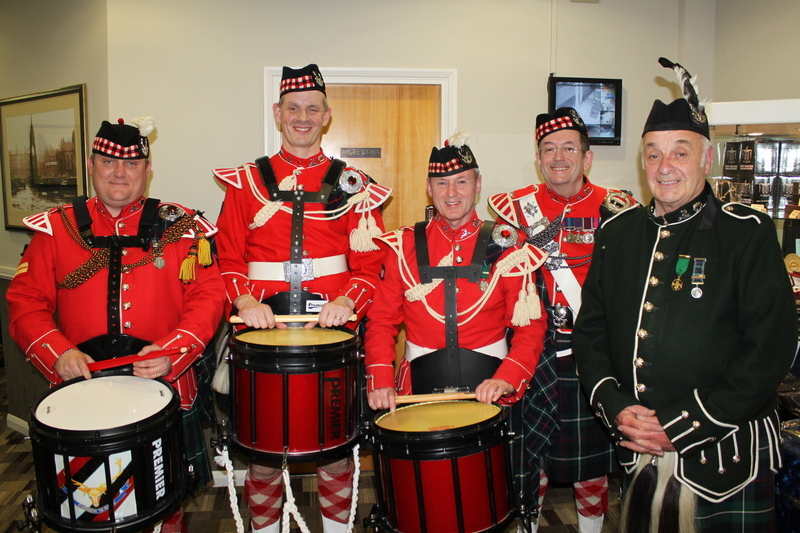 Sgt Stewart Gullen piped in the top table guests and performed the duties as master of ceremonies. Pipe Major Robert Orridge played a lament to the fallen. 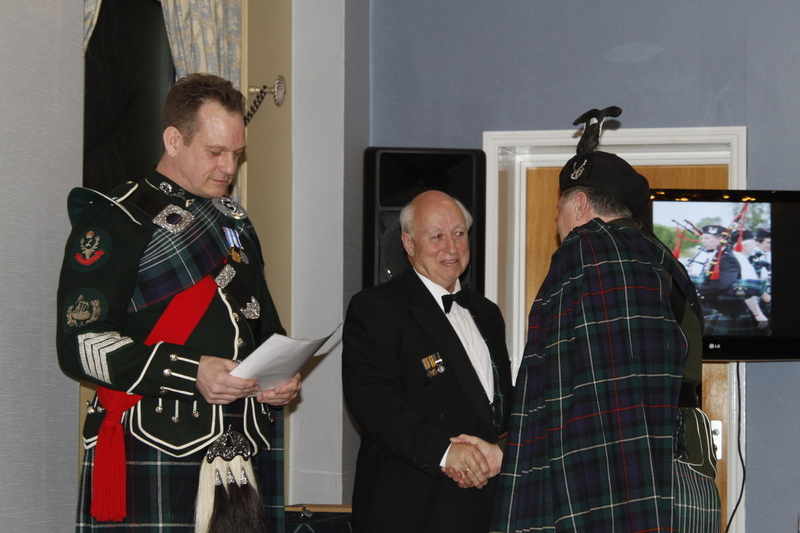 Sgt Tony Varley stood by to cover all the above duties. 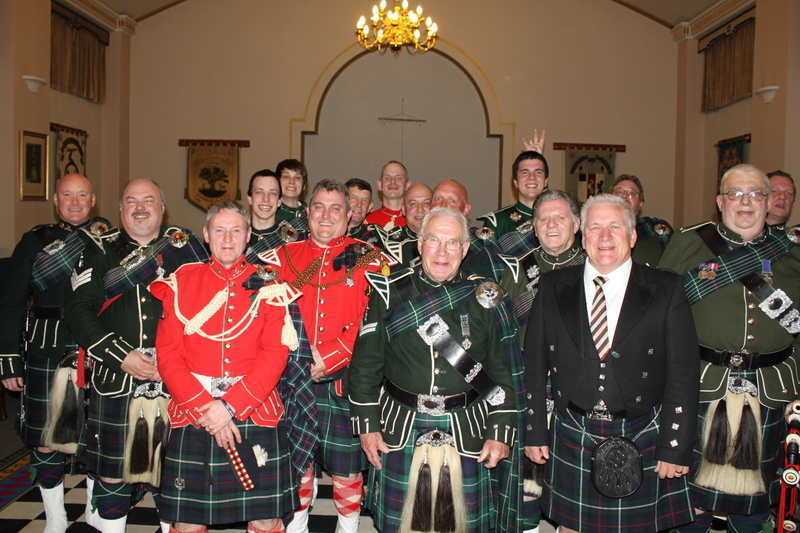 As you can Imagine being a Regimental Dinner there was a lot of tradition and ceremony. The band adding to this with a 20 minute performance following the meal. I would like to say well done to Cameron Ross for his first performance especialy the duet of amazin grace he performed with his dad Davie Ross. Well done also to Lee Coupe who performed well for the first time out in full uniform. I have recieved quite a lot of feedback from guests who attanded saying that they had had an exceptional evening and have alredy reserved tickets for next year.